Ever wondered why Spain is jam-packed with so much Islamic architecture? It’s the only European country where you’ll find with these kinds of buildings and Spanish people are rightly proud of this part of history present across their country. In Spain you’ll find impressive mosques, fortified palaces, and idyllic gardens that still preserve the essence of what was once a flourishing culture well ahead of its time. And what about the language? Are you learning Spanish? If you are, did you know that you are also learning some Arabic as well? More than 4,000 Spanish words originate from the Arabic language! What if I told you that the word “sugar” (azúcar in Spanish) is actually of Arabic origin? It comes from the Arabic word “sookar”. What about “pillow” (almohada in Spanish)? Indeed, it is also an adaptation of the Arabic word “al mukhádda”. But why? Arriving from the north of Africa, people of the Umayyad Caliphate conquered Spain in 711 C.E. and stayed until 1492. This means Muslim culture dominated a great part of Spain, or Al-Andalus, for around 800 years! In many parts of Spain, especially in Andalusia, after many centuries, the legacy of this period of history still endures. Many aspects of the Spanish culture like cuisine, architecture, art, literature and, of course, language, have been influenced by Islamic culture. If you want to discover and enjoy the most breathtaking sights in Spain, take a look to these six must-see destinations. We guarantee that you won’t regret it! 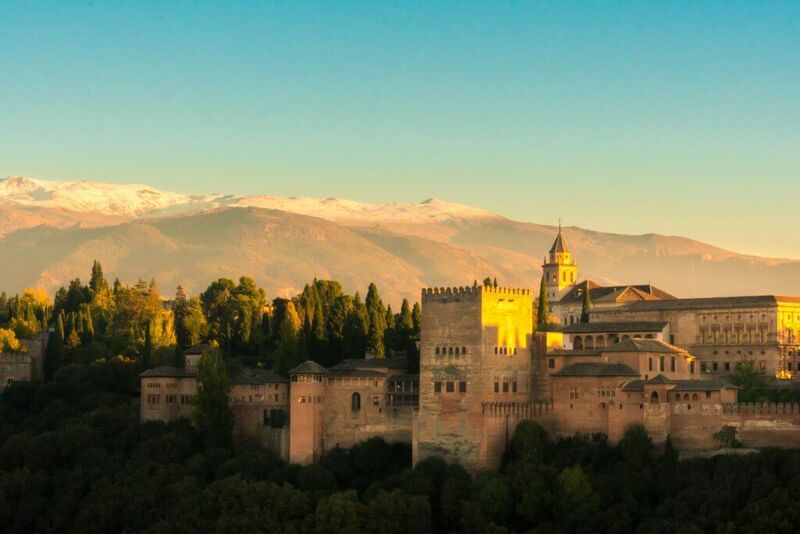 The Alhambra of Granada is the ultimate symbol of Arab rule in Spain and its most astonishing example of excellence by far. It is a wonderful place where you can feel the weight of history. The whole of Alhambra is more than a palace; it is an entire walled citadel within the city of Granada. Make sure to book your ticket before you visit, as they are limited and often sell-out! Welcome to the gardens of Dorne in Game of Thrones! Even if you are not a fan of the series, you definitely have to visit the Alcazar in Seville. 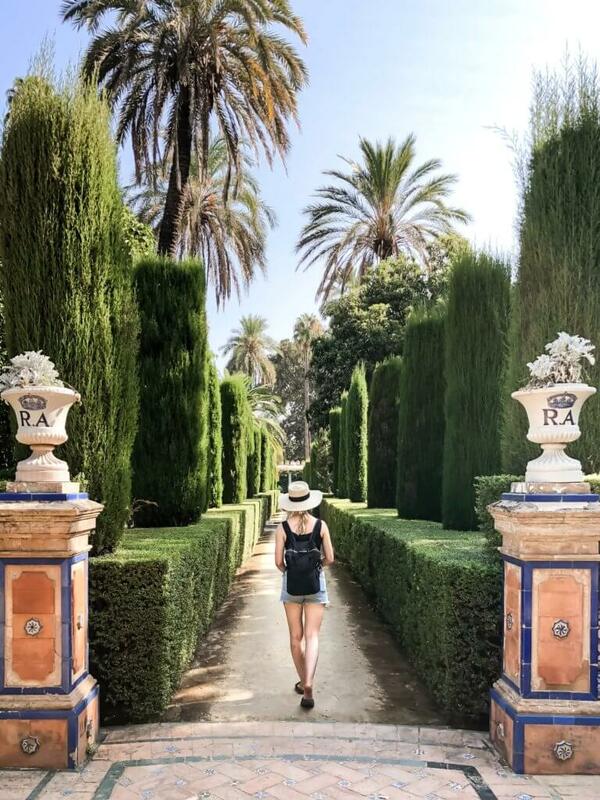 It is a profusion of lush gardens, elaborate tiled walls and rooms of Mudejar, Gothic, Renaissance and the Baroque art style that will simply dazzle you. Once again, as a recommendation, book your ticket online in advance to avoid queuing! 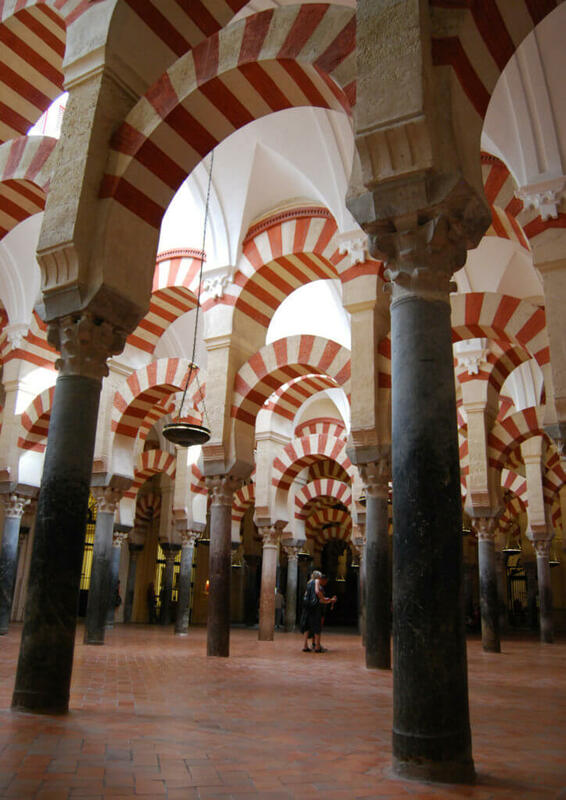 One of the most important examples of Islamic architecture in Spain is situated in Córdoba. It is a mosque but also a Roman Catholic cathedral. It is truly an exceptional monument and a testament to the ancient alliance of art and faith. Lose yourself in the immensity of the forest of columns and have a truly breath-taking experience. Make sure you don’t miss this must-see attraction in Córdoba! 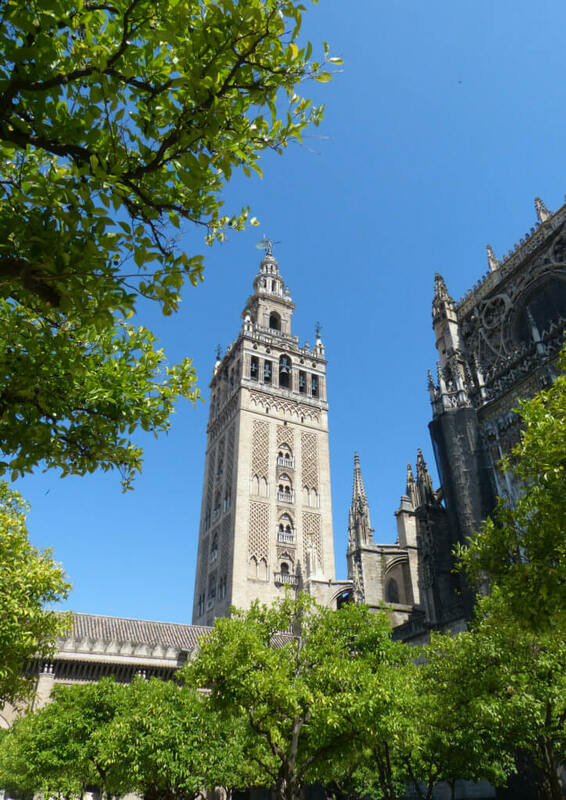 You can’t go to Seville and not visit the Giralda! Built in 1195, the original minaret of the old mosque is now the tower bell of the Seville Cathedral. It is a reflection of the cultures that lived under the tower, as the top is Renaissance and the bottom is Islamic architecture. Have a look inside and enjoy the magnificent views of the city from the tower. Who said you had to go to the south of Spain to see some Islamic architecture? 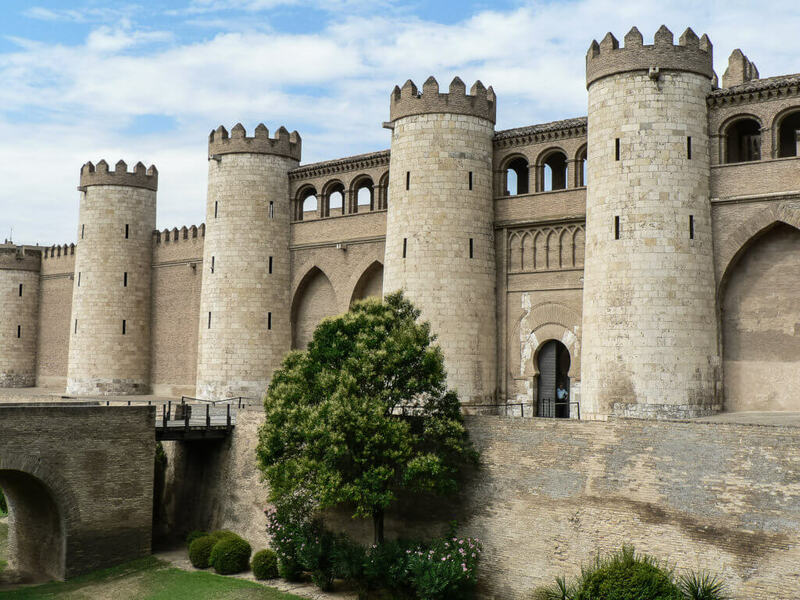 Up in the north, in Zaragoza, you can see the Aljafería, a fortified medieval Islamic palace from the 11th century. This palace with gorgeous ornate ceilings and amazing gardens reflects the splendour reached by the Taifas Kingdoms at the height of their political and cultural governance. What’s more, it’s the only structure left of this era! The last site is not a structure itself but the whole town and it is actually a national monument: no wonder as it has at least 10 historic structures to see! We are talking about Albarracín. This lovely site is probably one of the most charming and beautiful villages in Spain. Here you will transport yourself through time with no effort at all, enjoying its history, gastronomy and surroundings. It is also the perfect place to connect with nature. 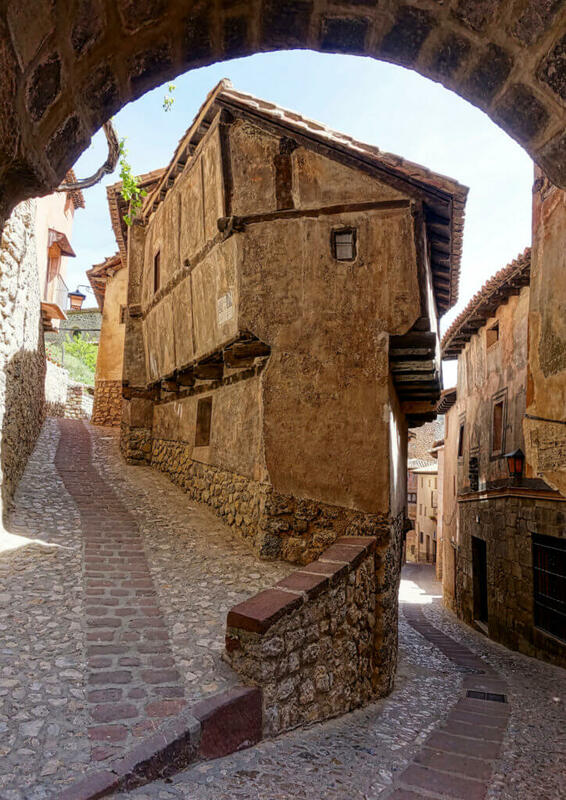 You can go to the Arab walls and have the most privileged views of all Albarracín or have a walk through the medieval streets of the town. If you enjoyed our article, you may be also interested in reading 6 Apps to Help You Learn Spanish or How to improve your Spanish pronunciation.